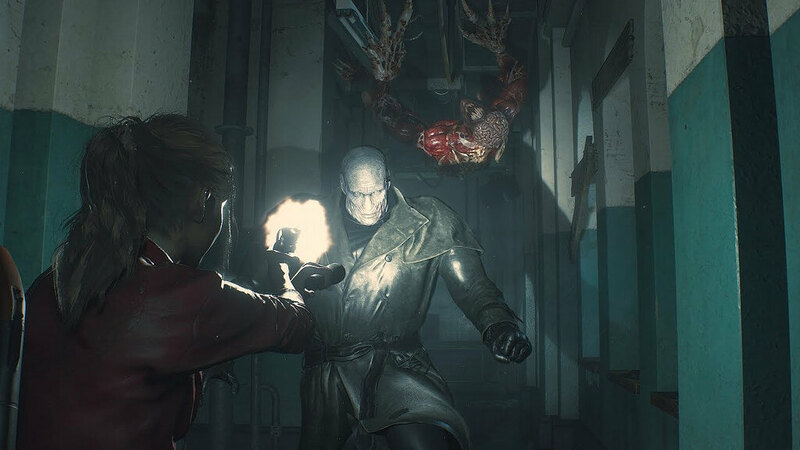 The Resident Evil 2 remake came out on January 25, 2019, and if you're playing it you'll know it's wonderful indeed. Players around the world are finding out just how scary the Lickers actually are. But the most terrifying adversary you face in the game is undoubtedly the Resident Evil 2 remake Tyrant, otherwise known as the colossal Mr. X.
Mr X has turned out to be the breakout star of Resident Evil 2's remake.He's creepy silent giant with a ludicrously long coat who continually stalks you throughout the game and never missing an opportunity to punch Leon or Claire really hard. This gigantic monster never says a word, even when you’re shooting him in the face. As the game clearly states, this monster is a Tyrant, a biologically engineered super-soldier created by the Umbrella Corporation. Trying to save in the main hall.